This sea, the known and unknown. Affected and described by tides and moons. Aware of land and water juxtaposed. Unyielding earth and fluid, expansive, mercurial saltsea. Paynes Grey and black oceanic depths. Mill pond stillness, then powerful swell and surge. Beholden to no one, and belonging to no land. 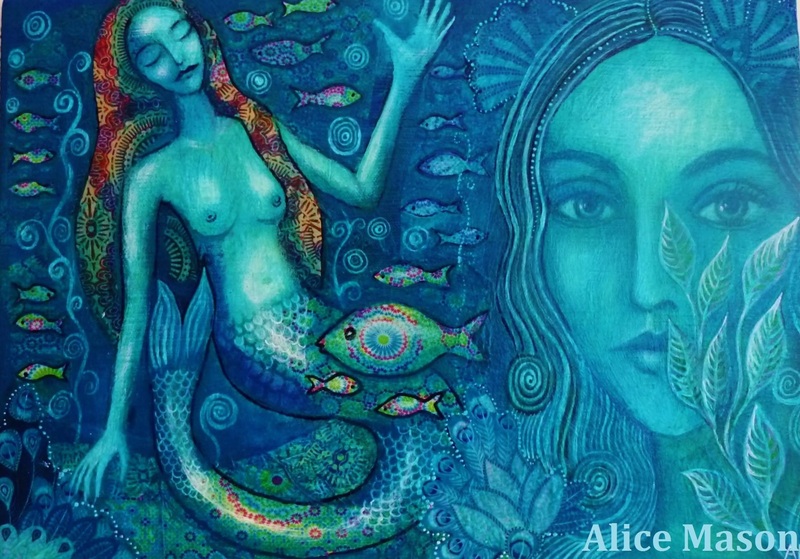 This entry was posted in Uncategorized and tagged alice mason art, alice mason poetry, mermaid paintings, mermaid poem, mermaid poetry. Bookmark the permalink.